Posted On Thu, 30 Nov 2017 02:22:12 +0000. Filed in ramblings. By Vaibhav Bhandari. 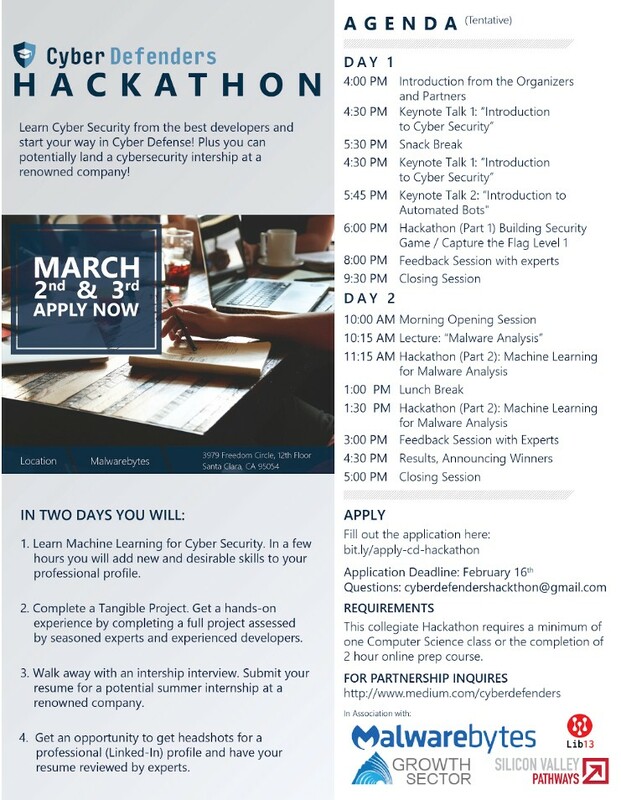 With Malwarebytes, San Jose Evergreen Community College, and several other educational & Cyber Security partners we are excited to start thinking about a cyber security hackathon targeting Feb 2018. Some other ideas we thought of for this hackathon are along the lines of capture the flag fun evening contests or a ethical hacking contest.The next item on list is to make a list of fun Cyber Security Challenges which will be great projects which fit in the hackathon format. With this hackathon we are targeting students in Northern California (collegiate and community colleges). 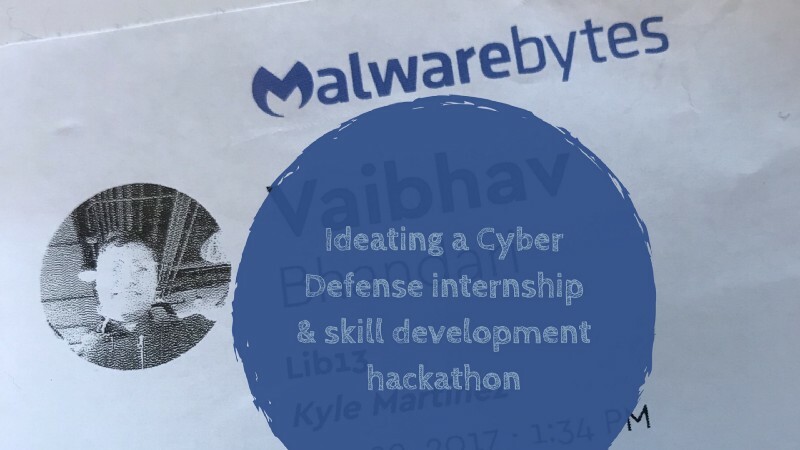 Would love your feedback on potential date of Feb 9 (Fri) — Feb 10 (Sat) at MalwareBytes Offices in San Jose, CA.